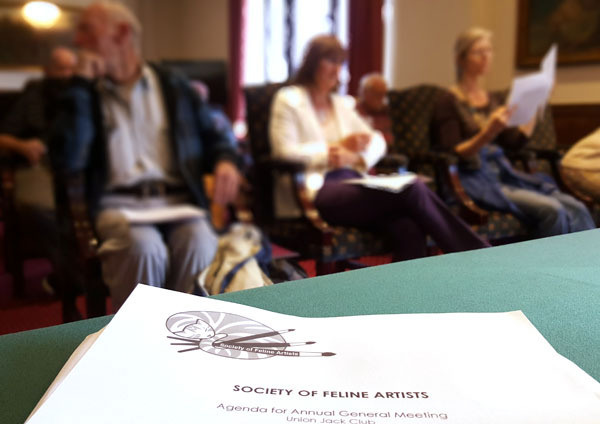 The Society’s AGM was held on the 19th of September at the Union Jack Club on collection day. At the AGM the officers gave their reports and Jacqueline Gaylard talked through the process of Associates becoming Full Members asking members to contact her if they need any help. We had another successful show this year with over 60 paintings sold. S.O.F.A. 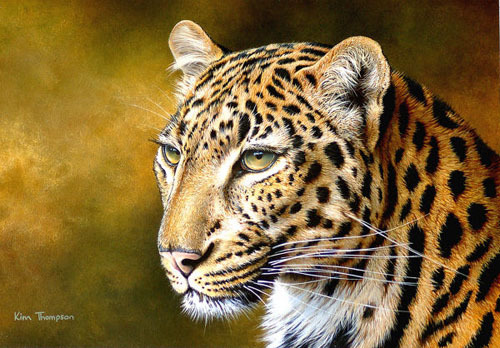 is very pleased to announce that the fourth Stephanie Kay Manchipp Memorial Award for new members goes to Kim Thompson whose wonderful acrylic paintings of big cats are beautiful. 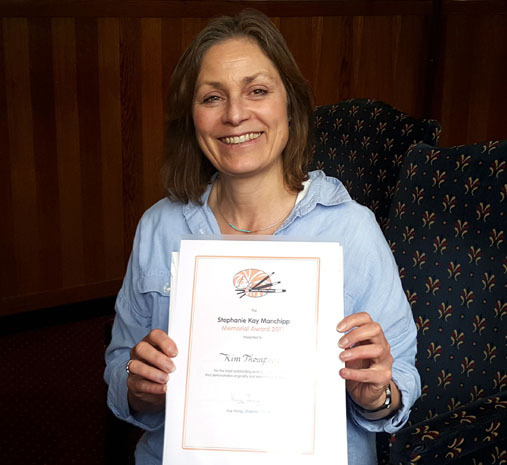 She was presented with a certificate, designed by Ben Manchipp, and a cheque for £100 by our Chairman Kay Young.